Myrtle Beach Casino Cruise South Carolina's ONLY Casino offering two luxury yachts to choose from! Ships depart from the waterfront in Little River, SC. They have two boats for you to enjoy. The Big "M" Casino Ship I - (Non-Smoking), is located at 4491 Waterfront Ave, Little River, SC 29566. 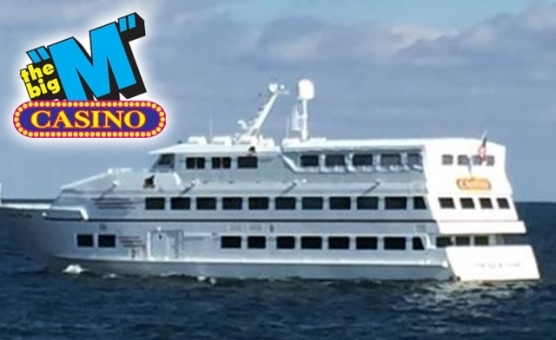 The Big "M" Casino Ship II - (Smoking-Optional), is located at 4491 Mineola Ave., Little River SC 29566. Enjoy Las Vegas Style Gaming including Blackjack, Craps, Roulette, Let It Ride, 3 Card Poker, Texas Hold'em Poker & the newest and loosest slots; Plus, we have the popular "Pot O' Gold" machines and Video Poker! All cruises have a Superb Buffet (all-you-can-eat).